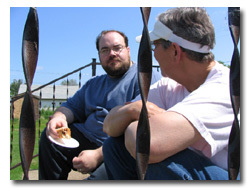 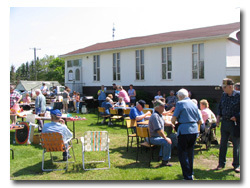 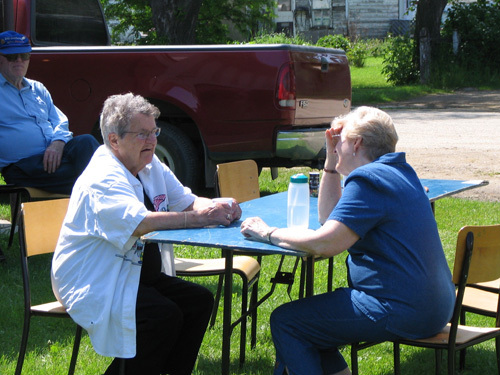 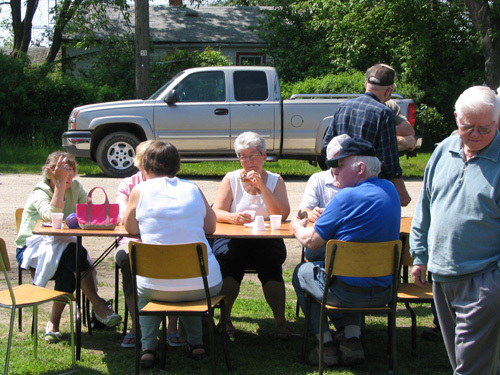 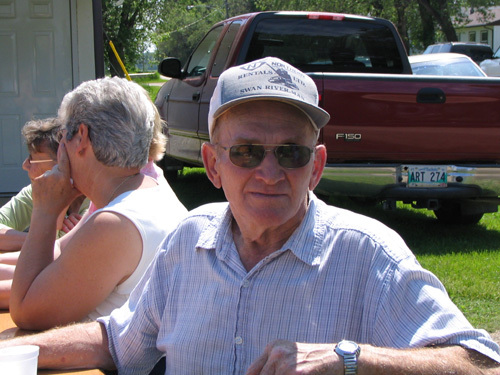 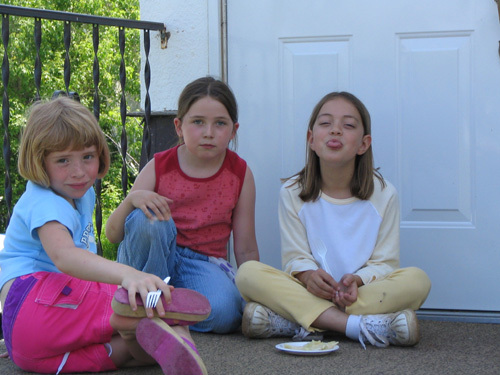 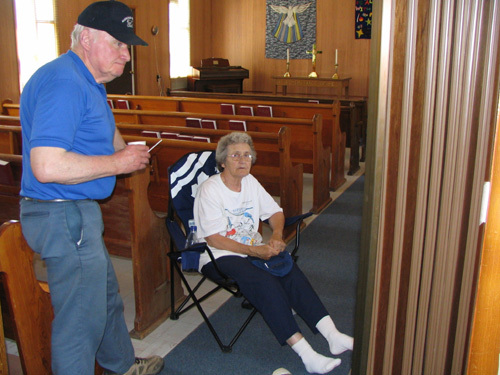 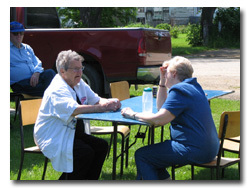 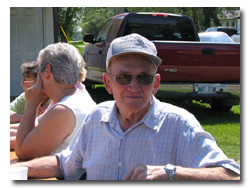 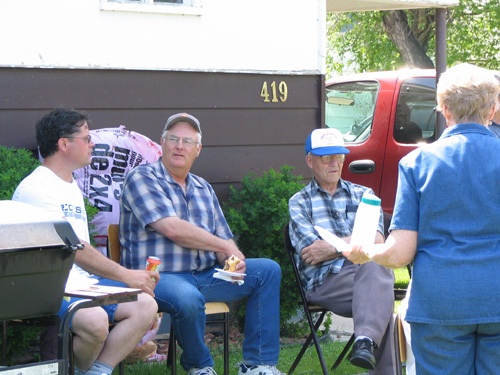 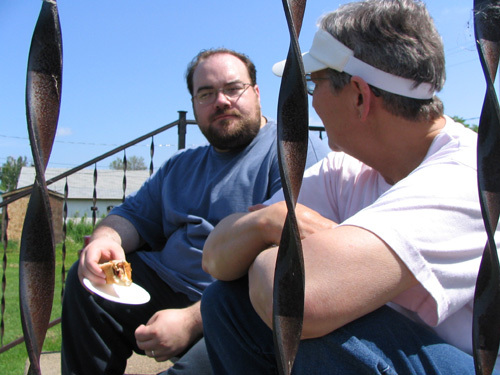 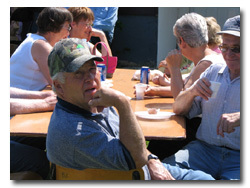 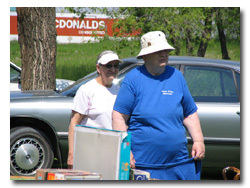 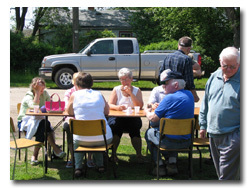 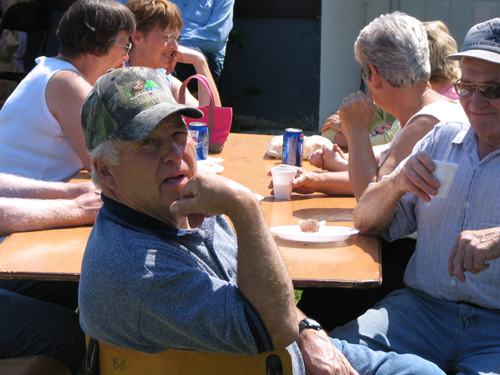 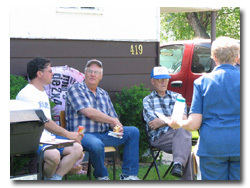 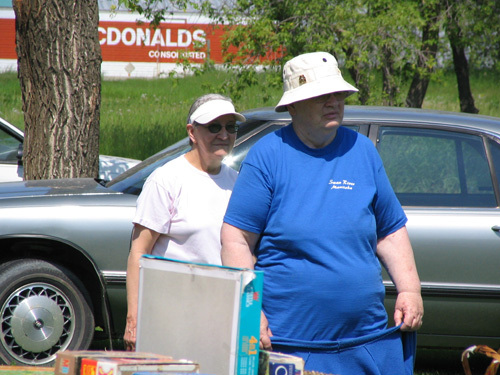 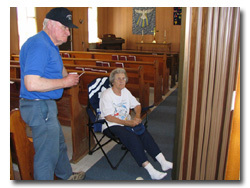 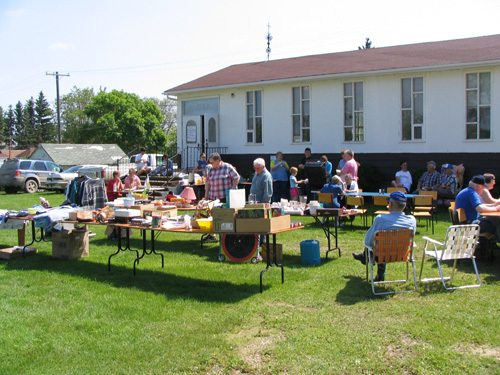 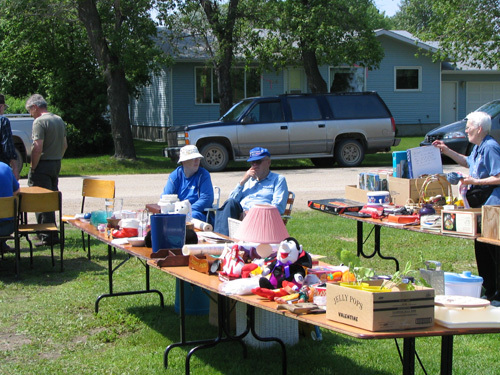 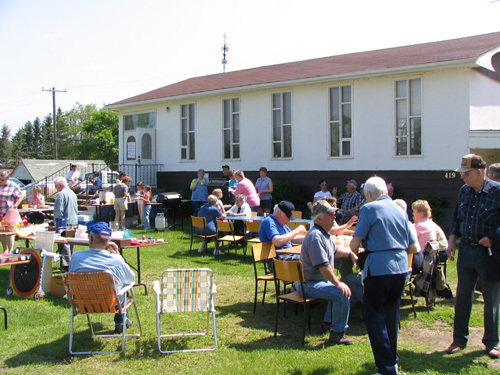 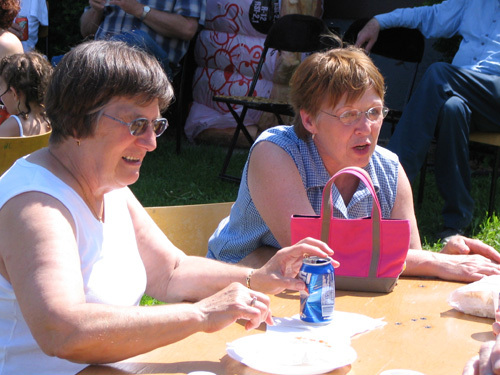 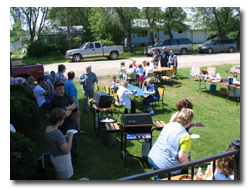 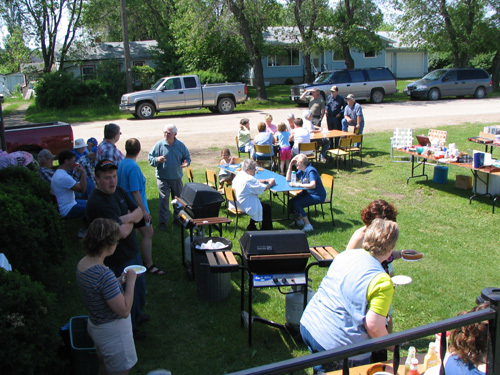 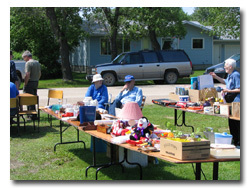 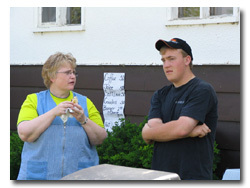 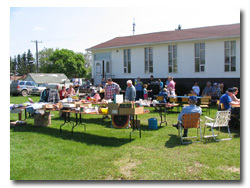 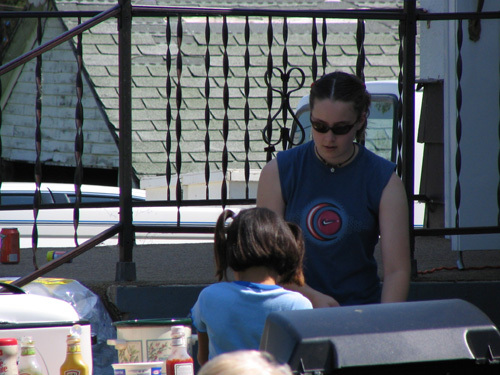 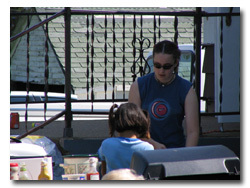 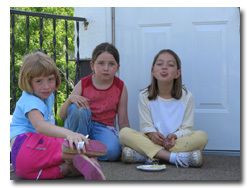 June 18th was the annual Bowsman United Church Yard Sale, Bake Sale & Bike/Walk-a-Thon. 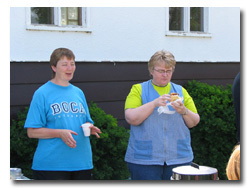 The morning started out looking like we would be rained out, but with a little faith and the slogan "Every burger you buy guaranteed us 5 minutes without rain." 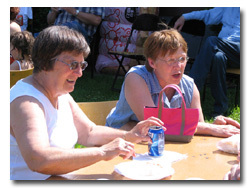 Not only did we not see a drop but we had ended the day with more than a full hour of sunshine. 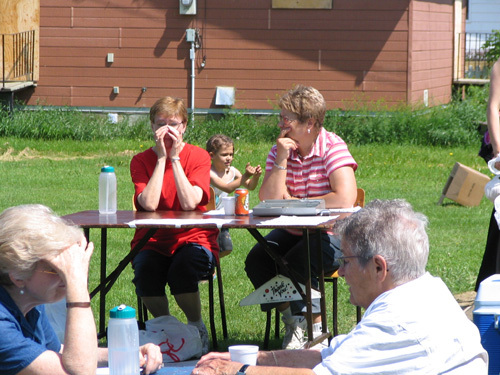 A special thank you to all the participants of the Bike/Walk-a-Thon. 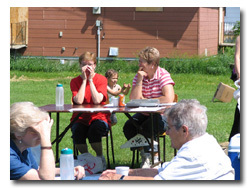 It was wonderful to see the members of the Sunday School and Congregation taking part.